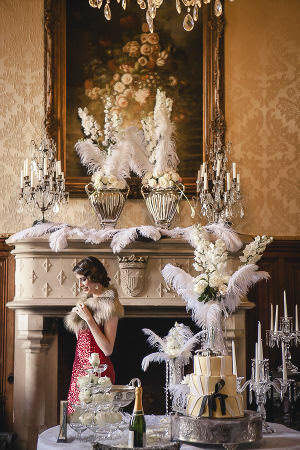 Decadence and romance combined in sumptuous style for this super-glamorous themed photo shoot at the famous Château de Challain in France. 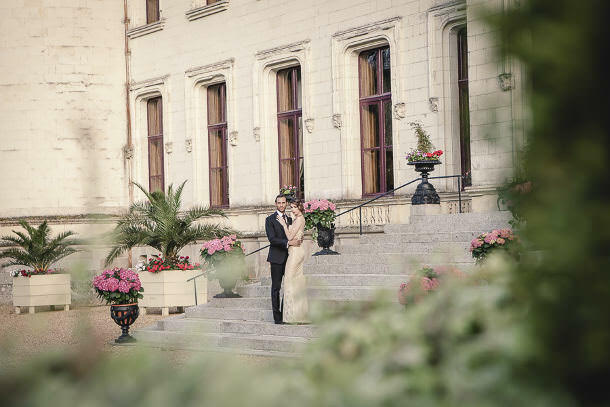 This amazing French castle is one of the top worldwide wedding venues, and is hugely popular with couples and creative photographers everywhere for its absolutely perfect wedding backdrop. 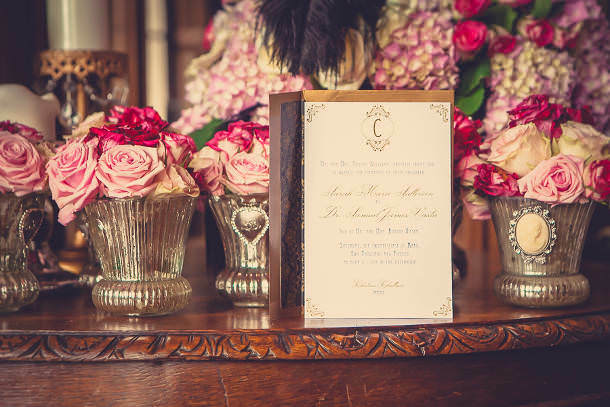 The magnificent chateau offers sheer opulence, classic style and the perfect setting for a fairy tale wedding that nobody will forget. 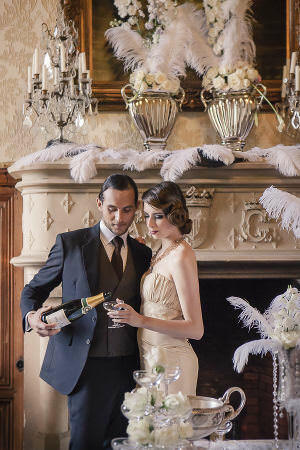 The chateau is so fabulously inspiring; I relished the opportunity to create some unforgettable images, reminiscent of a society wedding, with a decadent Great Gatsby theme running through them. 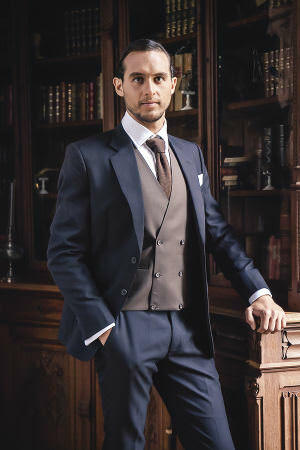 Our model evokes the mood of a nervous groom waiting in the library before the wedding as he looks expectantly at his pocket watch – the images really capture a sense of excitement and anticipation before a wedding ceremony. 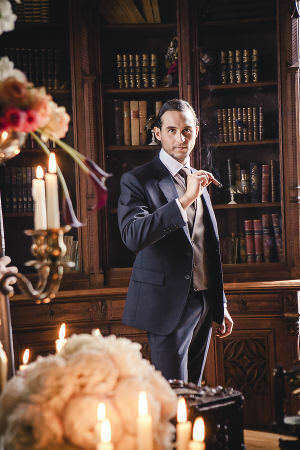 Defiantly smoking a cigar, he could even be Gatsby himself, waiting for his Daisy Buchanan. 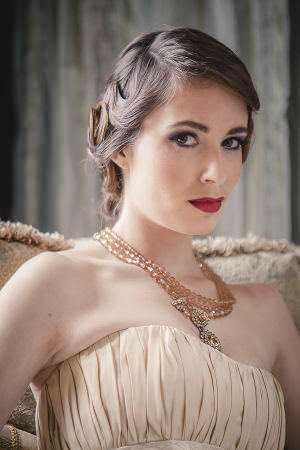 The elegance and simplicity of the vintage-styled bridal gown is set off imaginatively vibrant red lipstick and the stylish room in which she prepares herself for the ceremony. 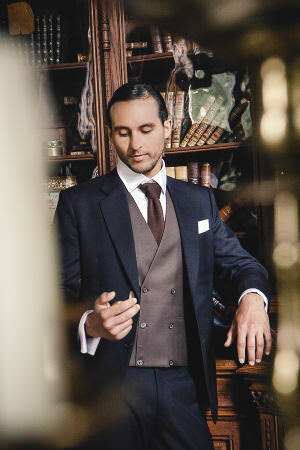 The gorgeous sunlight floods in through large, elegant windows to illuminate the beauty of the bride to be in her pre-wedding photographs. 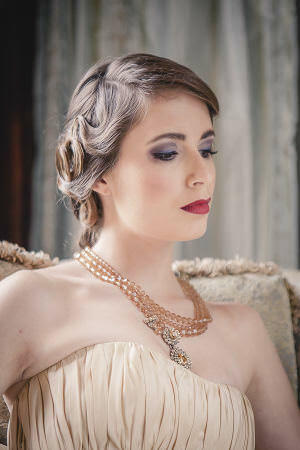 With the atmosphere of vintage glamour that permeates the shoot, it really could be the 1920s. 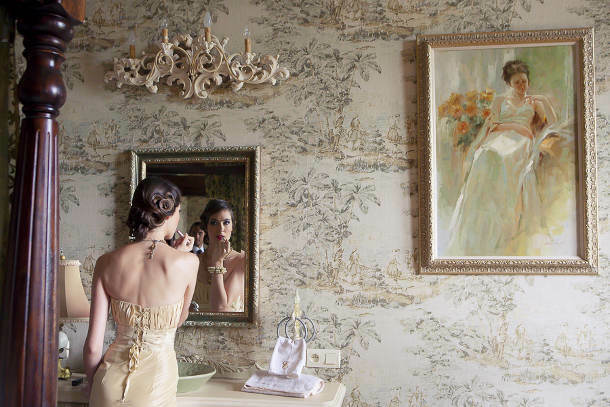 From a nervous bride to a confident woman, the bedroom was also the perfect place for daring shots of the ‘bride’ in a translucent robe, through which you can clearly see her lingerie. 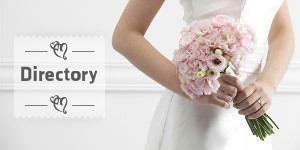 Definitely for her groom’s eyes only. 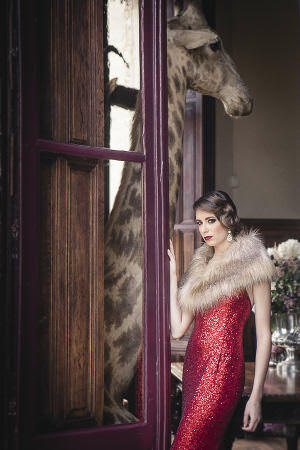 Capturing the absurdity of the famed Gatsby excess, there’s something unexpected in the background as the bride changes into a stunning red gown for more thoughtful poses, along with an unusual guest, before sipping cocktails with her new husband. 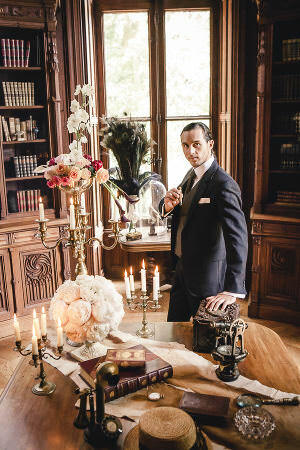 Capturing glamorous and romantic themed weddings at the Château de Challain is an absolute pleasure; there are so many opportunities for quirky shots, imaginative themes and beautiful, dreamy photographs. 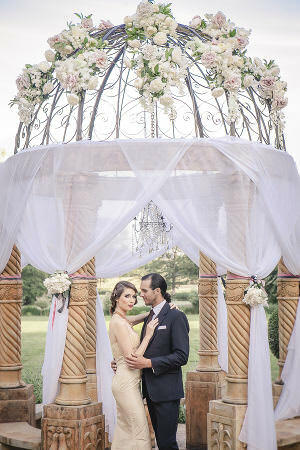 The captivating garden with its flower-adorned gazebo is just the perfect place for a wedding ceremony and it makes for some truly beautiful wedding photography. 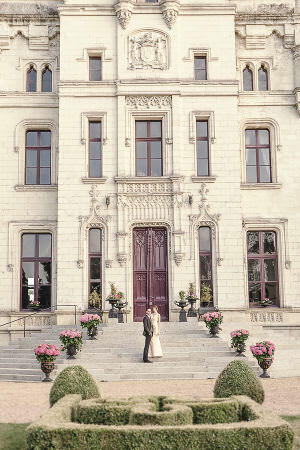 The chateau itself is stunning, a photographer’s dream. 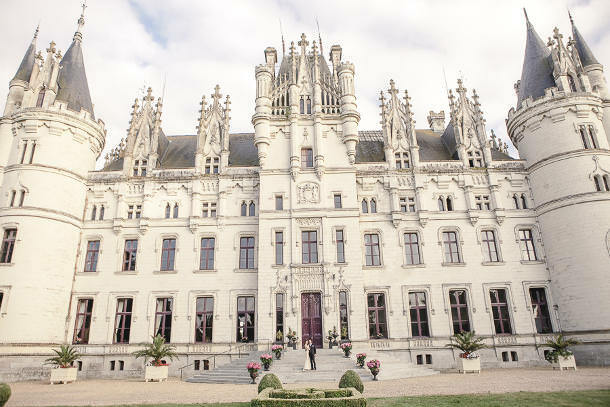 Château de Challain is the epitome of the fairy tale castle you imagined as a child, with its turrets, jaw-droppingly pretty grounds and fabulous architecture. 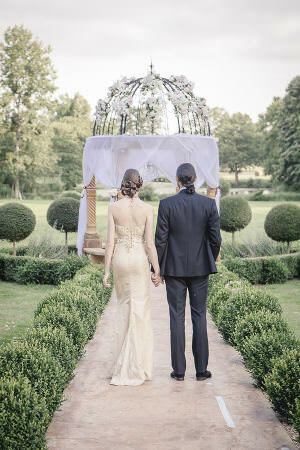 It’s the ideal place for a wedding that combines glamour, romance and an unforgettable treasure trove of picture perfect photo opportunities. 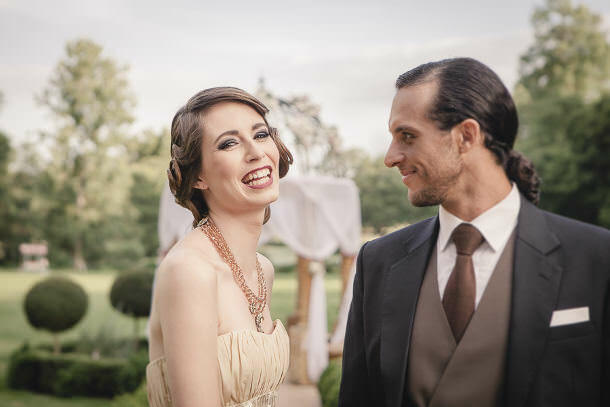 We loved our Great Gatsby photo shoot, the setting was sublime, the hospitality was amazing and the models enjoyed their vintage ‘wedding’ in style.